In the following pairs of triangle (Figures), the lengths of the sides are indicated along sides. By applying SSS condition, determine which are congruent. State the result in symbolic. (i) Is ΔABD ≅ ΔCBD? (ii) State the three parts of matching pairs you have used to answer (i). 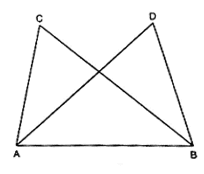 In Figure, AB = DC and BC = AD. (i) Is ΔABC ≅ ΔCDA? (ii) What congruence condition have you used? (iii) You have used some fact, not given in the question, what is that? 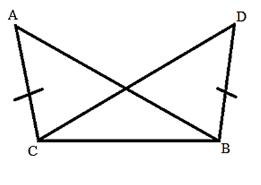 We have used Side congruence condition with one side common in both the triangles. Yes, have used the fact that AC = CA. (i) Which side of ΔPQR equals ED? 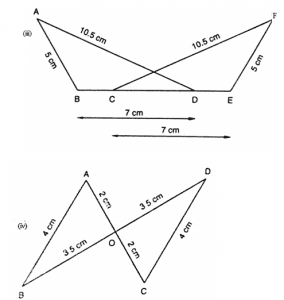 (ii) Which angle of ΔPQR equals angle E? 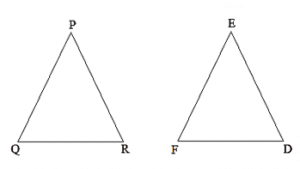 (i) Therefore PR = ED since the corresponding sides of congruent triangles are equal. (ii) ∠QPR = ∠FED since the corresponding angles of congruent triangles are equal. Triangles ABC and PQR are both isosceles with AB = AC and PO = PR respectively. 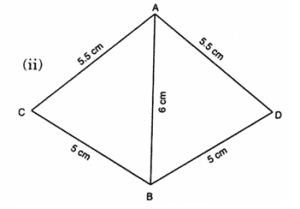 If also, AB = PQ and BC = QR, are the two triangles congruent? Which condition do you use? It ∠B = 50°, what is the measure of ∠R? And PQ = PR in isosceles ΔPQR. Also, we are given that AB = PQ and QR = BC. ∠ABC = ∠PQR (Since triangles are congruent)However, ΔPQR is isosceles. 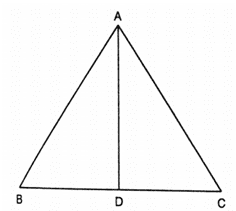 ABC and DBC are both isosceles triangles on a common base BC such that A and D lie on the same side of BC. Are triangles ADB and ADC congruent? Which condition do you use? If ∠BAC = 40° and ∠BDC = 100°, then find ∠ADB. Δ ABC and ΔABD are on a common base AB, and AC = BD and BC = AD as shown in Figure. Which of the following statements is true? There option (iii) is true. 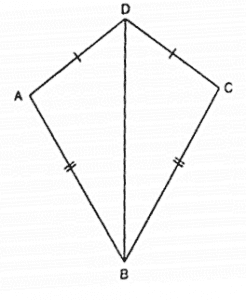 In Figure, ΔABC is isosceles with AB = AC, D is the mid-point of base BC. (i) Is ΔADB ≅ ΔADC? (ii) State the three pairs of matching parts you use to arrive at your answer. We have AB = AC. 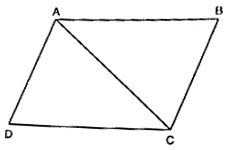 In figure, ΔABC is isosceles with AB = AC. State if ΔABC ≅ ΔACB. If yes, state three relations that you use to arrive at your answer. Yes, ΔABC ≅ ΔACB by SSS condition. 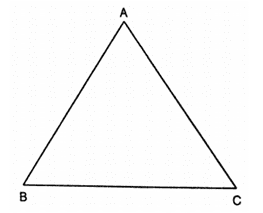 Triangles ABC and DBC have side BC common, AB = BD and AC = CD. 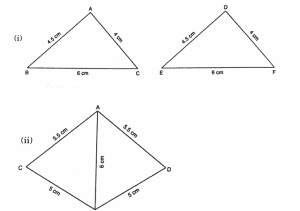 Are the two triangles congruent? State in symbolic form, which congruence do you use? Does ∠ABD equal ∠ACD? Why or why not?